We want you to maintain the freshness and highest quality sausages and be able to prepare them like a chef. 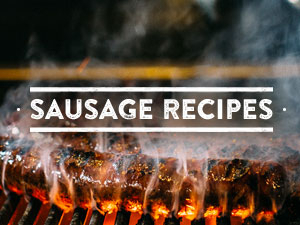 Butcher & the Boar® sausages should be thawed under refrigeration for 1-2 days before usage. Once thawed, keep refrigerated. Our sausage will last up to 7 days unopened. After opening package, serve within 5 days or freeze until 6 months. Sausage should be stored at a temperature of 40° F or below and wrapped in plastic to prevent oxidization. Fully cooked: Ready in just 8-10 minutes. Sauté or grill over medium heat, or bake at 350º. Fully cooked, just reheat. Ready in just 8-10 minutes. Sauté or grill over medium heat, or bake at 375°. Keep frozen or refrigerated. After opening package, serve within 5 days or freeze up to 6 months.